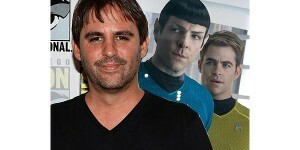 A lot has changed since Roberto Orci has stepped down from the director’s chair for the third chapter in the alternate timeline Star Trek film franchise. 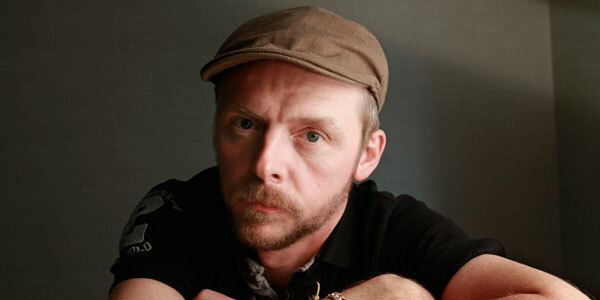 One of the newest revelations is actor Simon Pegg’s expanded role for this movie. He will not only reprise the role of Chief Engineer Montgomery Scott but will also take on a writer’s credit as the co-writer for the film’s screenplay. 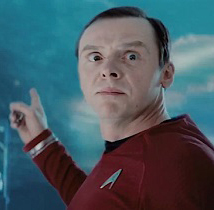 Pegg is certainly no stranger to writing for the big screen having written everything from the iconic zombie parody in Shaun of the Dead, Hot Fuzz, Paul, and his take on an alien takeover of a small hamlet in The World’s End. 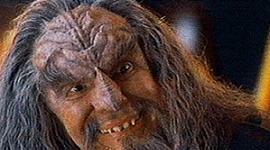 His writing has normally been reserved for small and big screen comedies but now he can take on the challenge of a dramatic story with the Trek movie. Pegg will share writing duties with Confidence and Dark Blue writer/producer Doug Jung. “Star Trek 3” will see the return of the bridge crew headed by Chris Pine and Zachary Quinto along with Karl Urban, Zoe Saldana, John Cho and Anton Yelchin. The movie is currently slated for a July 8, 2016 USA theatrical release.